Sitting on the Sidelines: Last year, word broke that ABC was developing a series that would center on a group of Marvel female superheroes. There were no details about which heroines would be in the series, but the network had a big pilot commitment for the project. However, plans have changed and the network has decided not to move forward with the pilot. A specific reason has not been given for passing on the project, and there is no word on whether the network will try to redevelop the series. ABC previously considered doing a spin-off from Agents of SHIELD titled Marvel’s Most Wanted that would focus on the characters Bobbi Morse and Lance Hunter. They passed on that the first time around then redeveloped it and produced a pilot. But the network ultimately decided not to go forward with the series. Currently ABC has committed to Agents of SHIELD through its seventh season, but the network would like to add another Marvel series at some point. Alfred vs. Jack the Ripper? At the TCAs, Danny Cannon discussed the upcoming Batman pre-prequel series Pennyworth that will be airing on Epix later this year. The series will focus on the character who will become the Wayne’s butler, but at a time before he takes up that employment while he is living in London in the 60’s. According to Cannon, this will be an “unhinged, R-rated” series that will focus on a younger Alfred. There are no plans to bring in any of the character’s from Batman’s rogue gallery to the show, but Alfred could face off against historical figures like the descendant of Jack the Ripper. Cannon is currently the executive producer of Gotham, but there is no indication that Pennyworth has direct links to that prequel series. I do often get the question what show would I reboot and often my answer is Lost, sometimes Alias. Nothing to report yet, maybe ever but it would be a fun thing to have a conversation about. Whether this would be a continuation of the original series or a complete reboot is unclear at this time, but hopefully the network will put more energy into exploring new properties. Sci Fi TV on the Big Screen: Legendary Entertainment and Hammer Films are partnering for a big screen reboot of the classic 1950’s British TV series Quatermass. 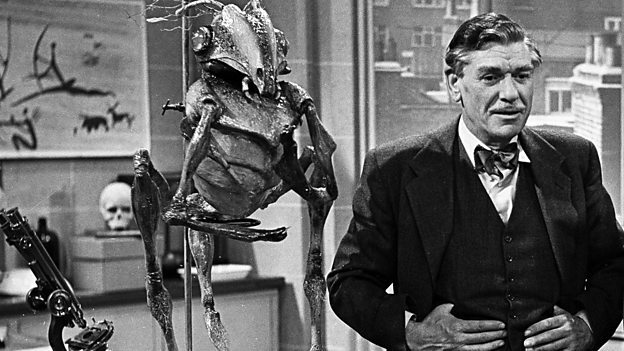 The original series focused on the title character Bernard Quatermass and his investigations into alien visitations on Earth. It produced three series in the 50’s plus a fourth in the late 70’s. Hammer previously adapted the original series as three separate movies: The Creeping Unknown (1955), The Enemy from Space (1957), and Five Million Years to Earth (1967). You can read more about the series at this link. The Return of Maggie: Lauren Cohan has departed from The Walking Dead for now as she focuses on her new ABC series Whiskey Cavalier, but the actress could return to the franchise at some point. While discussing her new show at the TCAs, Cohen indicated that there have been “conversations” about a spin-off centered around her character. Nothing specific has been worked out, and the actress is busy now with her current commitment. She departed from TWD earlier this season after extended contract negotiations, but the door is open for her character to return at a future time. More Sci Fi TV News: The first Game of Thrones prequel series is planning to start production during the first half of 2019 which means that 2020 will be the earliest it will make it to television . . . ABC’s reboot of the classic 60’s sitcom Bewitched, which would have had an interracial family, has been moved off-cycle but the project still could move forward at some point . . . History Channel’s UFO investigation drama Project Blue Book has been picked up by Syfy in the UK and will debut there later this year . . . The premiere of the upcoming Cosmos: Possible Worlds, originally scheduled for a March 3rd bow, has been delayed while Neil deGrasse Tyson is under investigation for misconduct.